The 2016 EWAS took place from 11th to 20th August 2016, hosted by the University of Limerick in beautiful Limerick. The students came from all continents to discuss the most pressing issues and recent findings pertaining to the management of end-of-life electrical and electronic equipment (e-waste). The program consisted of a mix of expert faculty lectures, panel discussions, student presentations, discussions, workshops, study tours and intensive group work. This year's theme focussed on the criticality, commonality and circularity of materials and products along the EEE chain. The students' group work was dedicated to creating a teaching lesson on e-waste, making use of the data visualization tool kumu. Study tours included a visit of the recycling plant KMK, Rehab and the port of Dublin. The week ended with a panel discussion representing the Irish EPA, the Department of Environment, ERP and the Transfrontier Shipment Office. Rolf Widmer received his MSc in electrical engineering and his MBA for development co-operation from the Swiss Federal Institute of Technology in Zurich (ETH). For several years he was with the Institute for Quantum Electronics at the ETH. He joined the Technology & Society Lab at EMPA in Switzerland in 2003, a research institution belonging to the ETH domain. 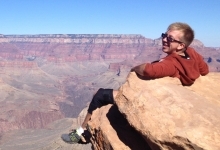 He is currently involved in several..
Colton joined Umicore in 2011 after completing a M.Sc. in Industrial Ecology from the Norwegian University of Science and Technology, specializing in Environmental Systems Analysis with a thesis on the global aluminium cycle. He holds a B.Sc. in Engineering from Swarthmore College in the United States where he graduated with high honors. 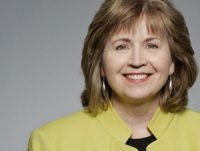 As Manager of Market Intelligence and Business Research at Umicore Precious Metals Refining,..
Jean Cox-Kearns is Executive Vice President at the Reverse Logistics Group. She is in charge of the business segment that is offering cross-national licensing and waste disposal solutions as well as environmental compliance services. Originating from Ireland, Mrs. Cox Kearns has extensive experience in the industry and therefore contributes precious know-how for the future divisional development. Moreover, she brings an international network of contacts with..
T. Reed Miller (the T stands for Travis, by the way) is a research assistant with the CSHub. Reed grew up in Rochester, NY, but now considers the “funky Boston neighborhood” of Jamaica Plain to be his home. 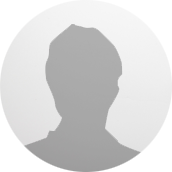 He attended the University of Buffalo as an undergraduate, where he studied environmental engineering and was involved in “Engineers for a Sustainable World” and organizing for climate..
Gina Killikelly is a Take Back Compliance Consultant at Dell. In her current role she monitors and supports developing e-waste legislation across EMEA (Europe Middle-East and Africa) and also supports projects in EMEA and globally relating to producer responsibility, data security, partner compliance and Dell’s commitment to take back and recycling. Previously she was Country Director for Camara in Ethiopia, an Irish charity which sends..
Matthew Hall is a Professor of Law & Criminal Justice in the College of Social Science. He graduated with a Ph.D. from the University of Sheffield in 2007. 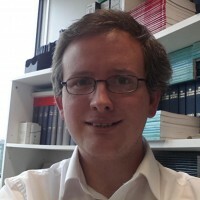 He became a Lecturer in Law and Criminal Justice in 2008 and a Senior Lecturer in 2011 both at the University of Sheffield School of Law, before moving to Lincoln in 2014. Matthew was interviewed on behalf..
Martin Tobin is the CEO for the European Recycling Platform (ERP) in Ireland. As well as having responsibility for the strategic planning and implementation of ERP’s WEEE and Waste Battery compliance strategy across the country, Martin has expanded his leadership role to take full control of the company’s resources in Ireland. Since joining over two years ago, ERP Ireland has experienced considerable growth in membership..
Niall is an Assistant Principal with responsibility for waste policy and resource efficiency at the Dept of Communications, Climate Action & the Environment. Among other responsibilities, Niall chairs the Irish WEEE Monitoring Group. Originally formed in 2003 it successfully developed and oversaw the national implementation of the WEEE and RoHS Directives. As part of the ongoing consultation process, the WEEE Taskforce has been re-constituted as..
Patrick has worked in waste management regulations for 12yrs specialising in international waste shipments. This involves monitoring the movement of hazardous wastes within Ireland, the import and export of all wastes including the physical inspection of wastes at source and inspection of waste shipments in transit. 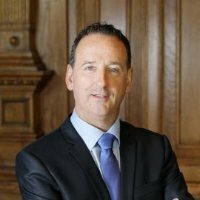 He also works to provide guidance on the interpretation and application of waste shipment legislation and waste classifications to..
Michael Owens is an Inspector at the Environmental Protection Agency Ireland. 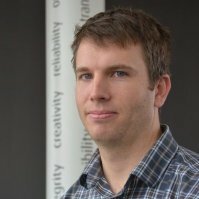 He has been working in environmental authorisation and enforcement for 20 years with a wide range of experience including producer responsibility initiatives, waste legislation, waste, industrial emissions and wastewater licensing, strategic environmental assessment, license enforcement and air and noise monitoring. Brittany McCrigler works as director of education at iFixit. Brittany oversees IFixit's K-12 outreach and supervises the firm’s technical writing project that serves about 55 universities. She teaches technical writing, creates resources for the technical communication classroom, and is on the teardown team. Brittany studied physics at Cal Poly and worked in solar physics in Los Angeles for four years before joining Ifixit. 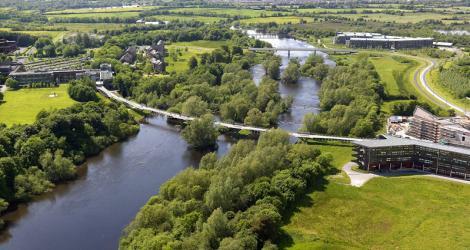 The University of Limerick is located along the River Shannon, 5 km from Limerick city centre. The programme and accommodation are both on the campus.